The Rossignol Justice is an all-new snowboard that takes women's riding to the next level. This setback twin, all mountain freestyle board takes MagTek, Roller Tech, and RadCut tech and blends them together to create a big mountain power house. It's playful, surfy and smooth, with tons of float for next-gen freeride performance. This 2017 Good Wood Award Winer allows you to effortlessly transition from edge to edge with precision and control so you can dominate every aspect of the mountain. Explore more and ride harder with the all-new Justice snowboard from Rossignol. 2018 Rossignol Justice Snowboard Review by Jenna. 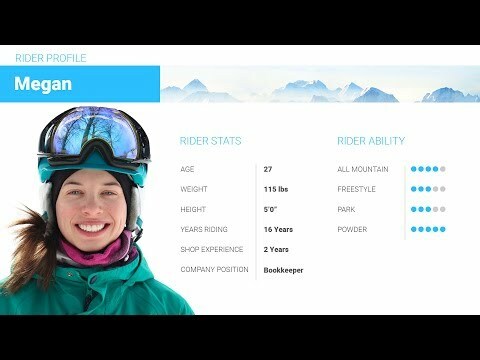 2018 Rossignol Justice Snowboard Review by Megan. 2018 Rossignol Justice Snowboard Review by Jennifer.